Malaysia residents and non-residents with local address and contact number are eligible. By utilising the benefits and privileges of MY L’OCCITANE, members are deemed to agree and accept the terms and conditions of this loyalty program. MY L’OCCITANE Club Membership will expire on 31 March 2020. 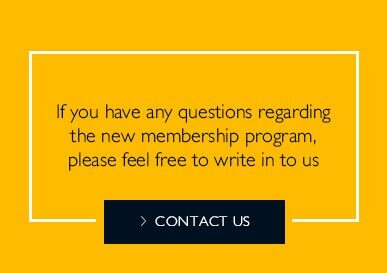 New join Club member who spend RM1200 in accumulated receipts within the membership calendar year can be upgraded to Gold member to following year. Gold membership will expire on 31 March 2021. L’OCCITANE Gold membership upgrade only will take effect on every 1 April. To maintain Club membership status, spend RM200 before 31 March. To maintain Gold membership status, spend RM1000 before 31 March. MY L’OCCITANE membership is non-transferable & non-shareable. Only official registered member can utilize the benefits and privileges. Any violation may result in the termination of the membership. Members are required to present their NRIC for verification when collecting birthday privilege and points redemption rewards at L’OCCITANE stores. For the online Club membership or Gold membership processing lead time will take 5 working days. 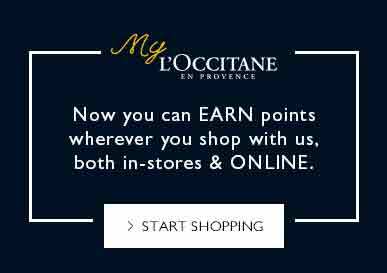 Earn 1 reward points for every RM20 spent on your purchase at L’OCCITANE retail and online stores in Malaysia. Reward points are awarded based on net value after deduction of discounts and vouchers. Member must identify yourself with mobile number to the cashier at the time of purchase to collect reward points. Failure to do so will result in no points awarded for the amount spent. Reward points are non-transferable and not exchangeable for cash. Once reward points have been redeemed, it cannot be changed or cancelled. Member can check the points information via https://my.loccitane.com/ or at any L’OCCITANE store by providing NRIC or mobile number. Promotional materials will only be sent to members who meet the minimum criteria as may be determined by L’OCCITANE Malaysia Sdn. Bhd. Members are advised to notify any L’OCCITANE store or email to info@loccitane.com.my of any change of mailing address or other personal particulars to avoid benefit and privileges not reaching you. The management of L’OCCITANE Malaysia Sdn. Bhd. reserves the right to change the MY L’OCCITANE club membership terms & conditions without prior notice. Any new or amended terms & conditions will override the existing MY L’OCCITANE club membership terms & conditions.